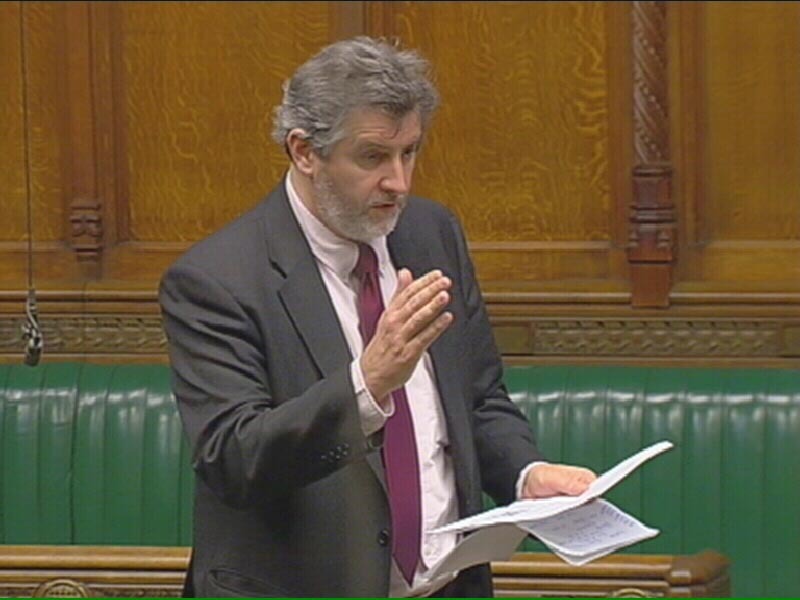 Clive Efford has presented a Private Members Bill to Parliament to save our NHS with wide-ranging Labour support. Clive presented his Bill on the same day as the Prime Minister refused to answer 6 questions on the NHS during Prime Minister’s Questions. NHS England’s figures show that the number of people waiting more than 4 hours in A&Es has increased from 353,619 in 2009/2010 to 939,494 after the Tories’ reorganisation – an increase of 166%. The Bill looks set to become the defining moment of this parliament. Clive says “It is absolutely essential that we act now to save our NHS before it is too late and top-quality healthcare for everyone is consigned to history. Locally we have seen the disdain which the Conservatives hold our local services in, with them promising before the last election that they would not close Queen Mary’s. Yet as soon as they were elected they shut it, and their so far thwarted attempts to shut Lewisham A&E. Private Members Bill allow MPs from all parties to introduce a Bill of their choosing. In each session, twenty backbench MPs are selected by ballot to introduce a bill. Clive was the sixth name drawn out. The first debate on the Bill will be on 21 November. Good luck with your excellent Bill. The NHS vitally needs a repeal of the major clauses of the toxic Health and Social Care Act 2012. I’m absolutely delighted to read about this. Apart from the obvious importance that the NHS has in terms of healthcare, it’s also one of a few things we have in this country that we can be really proud of, relative to the rest of the first world. Best of luck to you and everyone standing in the way of the Government’s plans to turn our healthcare system into a shambolic, profit-driven clone of the disastrous American one. There is more at stake here than just the NHS. The NHS, however, is so important to people, to ordinary people, that no matter what issues have arisen over time – many the result of Conservative legislation – it must be preserved in its purest form. The Americans recognise how well our system operates and how badly their system compares. The NHS is part of a caring society, sadly under the control of a Party which cares more for profit than it does for the ordinary, hard working, decent people who live in our country. Many thanks Clive, the NHS is part of a caring a society as Mike Sleeth 23 July 2014 said is sadly being lost a bit at a time.Yes under the control of a party which seems to care more for profit than the health and welfare others..
As a child before the NHS I waited a number of years for an operation that my parents could not afford.The delay mean I suffered in acute pain and my education effected because of lost time off school with acute pain. So the NHS is worth protecting and fighting for.